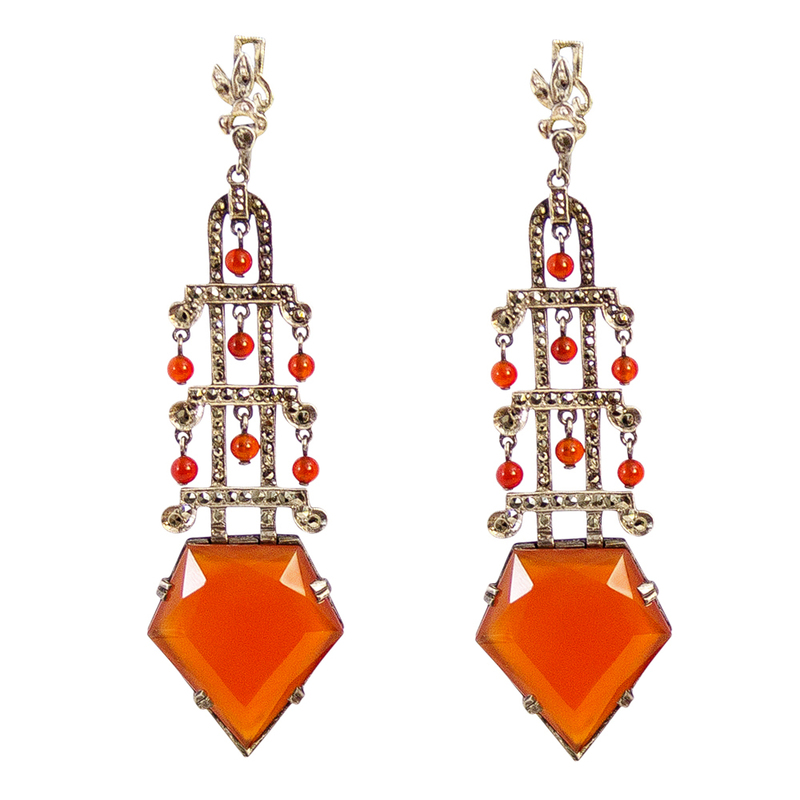 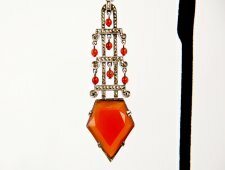 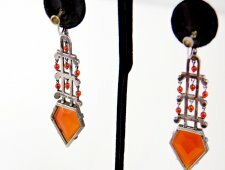 Exquisite example of Art Deco, these earrings are very rare. 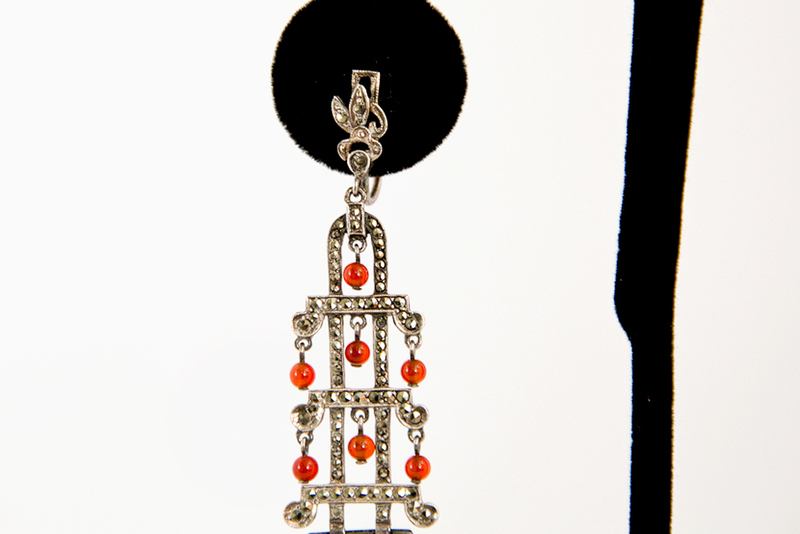 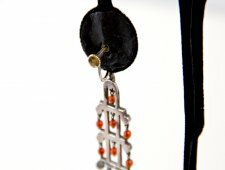 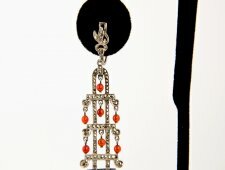 Made with Marcasite and Carnelian, they measure about 3 inches long and 1 inch at their widest. 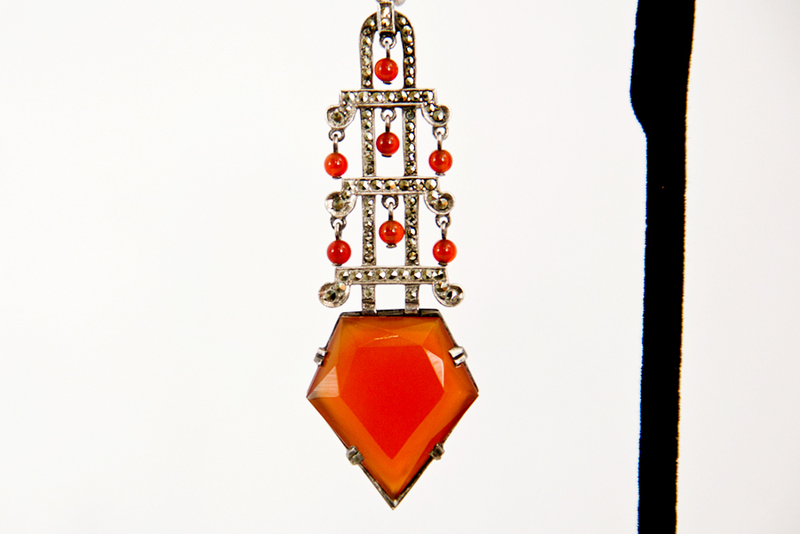 Theodor Fahrner was one of the leaders of jewelry design Vienna Wiener Werkstatte Vienna Workshop movement during the early 1900 s. To this day he is still an inspiration for juxtaposed color combinations. 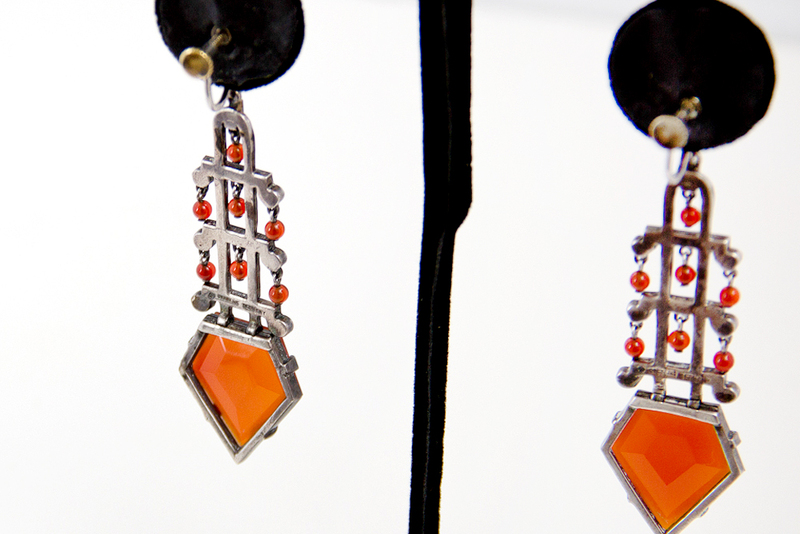 His delicate but strong color sensibility stands unrivaled.